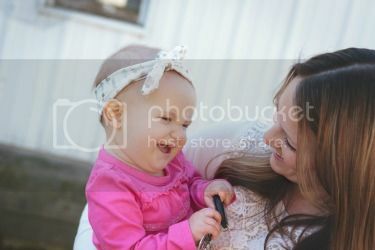 Disclsoure: Special thanks to Wrapy for letting Remy and I test it out and share our thoughts on the blog! I'm not sure what my life would be like without my baby carrier. Seriously. The other day I was able to clean the house from top to bottom, change an explosive toddler diaper and help Cohen clean up after doing his "business" all while holding a sleeping baby close to my chest. 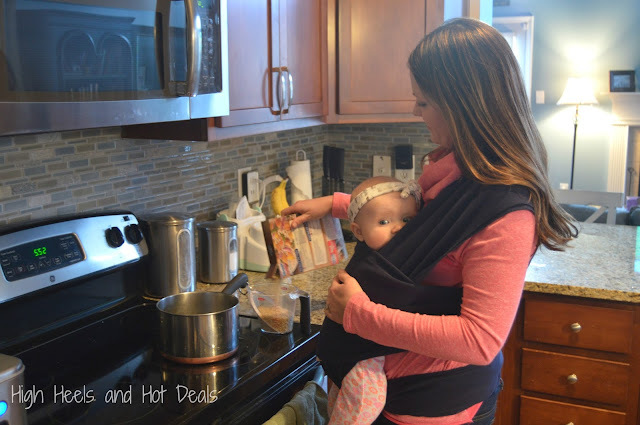 At times these baby carriers have been my saving grave, especially during that witching hour which always occurs before Dad gets home and when dinner needs to get finished. While I love the baby carrier I have, I was intrigued by these wraps I had seen several of my friends post pictures of on social media. Their babies seemed so cozy and snuggly and the carrier wasn't anything more than a piece of fabric. I liked the convenience of these wrap carriers but loved the fact that it wasn't bulky. So I decided to try one out. What is a Wrapy you ask? Well, its just that - a wrap. Basically it is a wide piece of fabric (one size fits all people!) 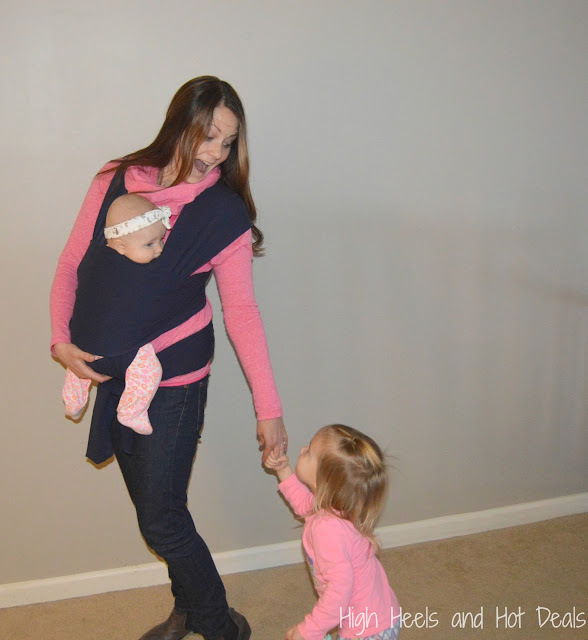 you wrap around yourself creating a carrier for you to safely and comfortably hold your baby. As you can see, Remy is cozily and securely held against my chest allowing my hands the ability to get stuff done. Her little head is still able to peak out and look around or lie on my chest and take a snooze when she gets tired. 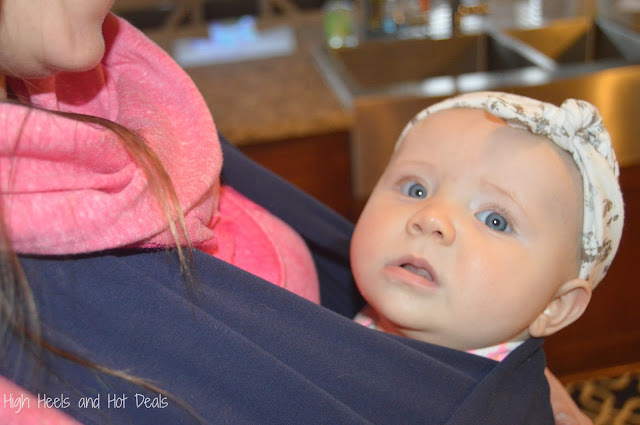 The Wrapy offers four different holds so I can use it as Remy gets older - either facing in towards my chest or even facing outwards looking around. So it's a carrier that will grow with your family as your baby gets older. I love that the Wrapy is machine washable, which is good for us because Remy is seriously teething and spent the majority of her time sucking on the fabric while I held her. I can easily throw it into the wash when we are done and dry it in the dryer, since it is dryer safe. The fact that is is one size fits all is extremely appealing to both my husband and myself. 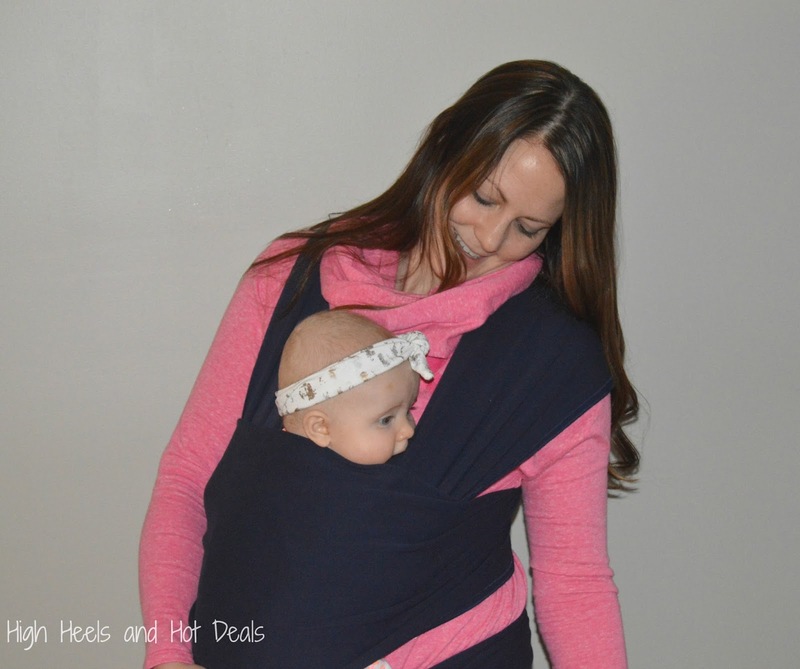 We can both wear the Wrapy and not have to worry about adjusting straps each time one of us goes to use the baby carrier. The fabric offers for easy carrying convenience as well as lets me fold it up and store it away in my closet without any hassle. I will say the only downfall is that it does take a bit to figure out how to wrap yourself. However, the directions are straight forward and take you step by step to make sure you are securely putting it on. After a few practices I felt confident that Remy was safe and snug in her Wrapy. I'm definitely a fan of these wrap carriers now. Dinner prep was easy and Remy remained content. I was also able to freely tend to the other kiddos yet keep Remy happy since she was snug in her Wrapy. I'm a firm believer in the saying, "Work smarter, not harder." Seriously Wrapy, where were you when I had Cohen, the child that NEVER slept? For more information about the Wrapy, check out their website. You can also order your Wrapy on Amazon too! "Doh" You Want to Be My Valentine?